What goes around comes around. A great and well organized event PKA - Philippine Kiteboarding Association. The competition was blessed with great wind, outstanding riders, awesome team spirit and endless pleasure. Thanks to the organizer to support Bulabog Beach with this fantastic competition! Tablas island became our second home as we have done many trekkings through the mountains and rice fields of the local fisherman. This day trip is created for everyone to explorer the beauty of the Philippines. 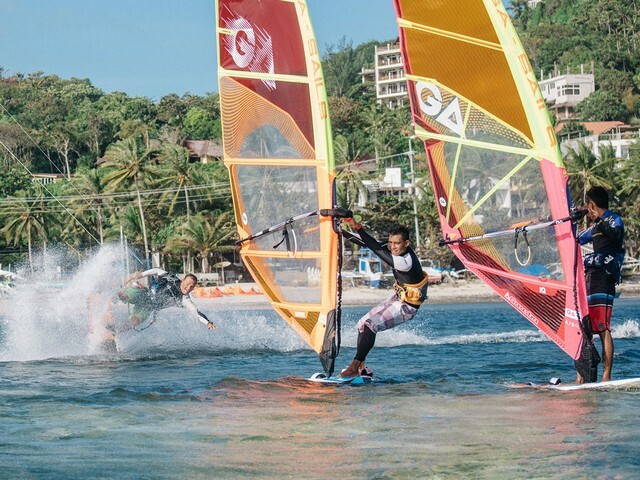 Kitesurfer can do a downwinder from Tablas back to Boracay island accompanied by the boat. Read more about Island hopping for everyone - downwinder for intermediate kitesurfer!